Moving to a new country means reorganizing the entire life. Not only does the move involve a new job, home, circle of friends – an expat also needs to consider on how they plan to move around. China presents foreigners with multiple opportunities in terms of transportation. There’s the public transportation (including a modern metro network), taxis, local car hailing app Didi and for the ones trying to keep fit, bike sharing apps are also present. However, having a Chinese driving license will give you the ultimate freedom for getting around. There is no denying that the possibility getting around China on your own terms is indeed lucrative. Curious on what it takes to get a driving license in China? Follow our simple, tried-and-tested guide below! As usually is the case in China, the requirements may vary slightly depending on the city in which you apply. If you already own a driving license from back home and a temporary residency permit in China, things will be simple. Based on your existing license, it is possible to take a written driver’s test of 100 questions. Upon successful passing, you will be eligible for a driver’s license. To do so, follow these steps below! 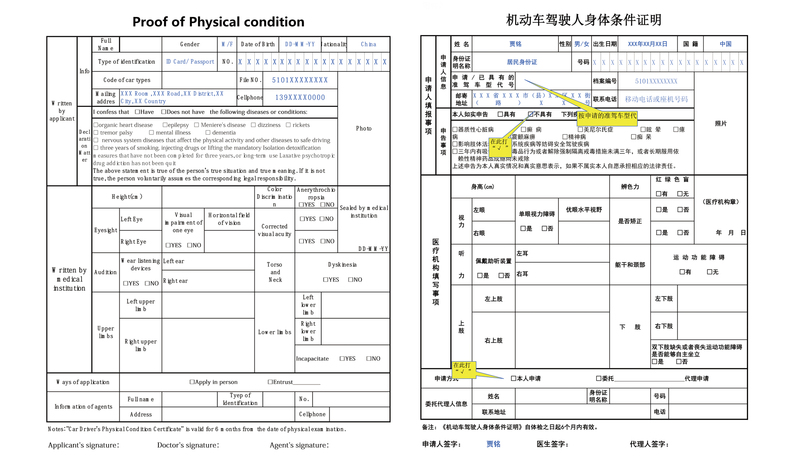 Prepare and submit the below documents to the local Shanghai Vehicle Management Bureau (SVMB – Address in Shanghai: No. 1330 Hami Rd. ; Contact Nr. : 62690606). Passport/Visa; the original and the photocopies. Temporary residence permit from local police station. “Proof of physical condition” issued by hospital or done on the spot, proving you are fit to drive. You can find the form and the translation at the bottom of this post! Driving license and a Chinese translation (Must be translated by a sworn translator. Eg. Room 1103, No. 560 Zhangyang Rd. Pudong District, Shanghai.). 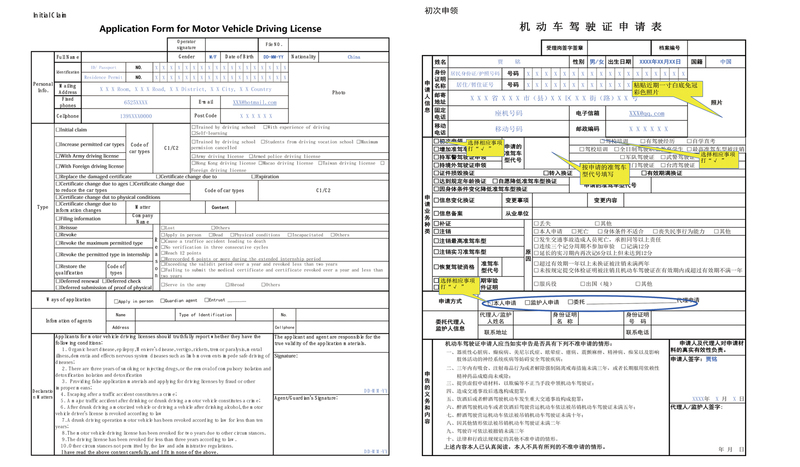 Fill out the “Motor vehicle driving license application form” – you can find the form and the translation at the bottom of this post! Attend the Driver’s Test at the SVMB. The test is done at a computer and you have 45 minutes to complete the exam. After submitting the answers, the computer will tell you immediately, whether you’ve passed or not. Instead of relying on your own instincts, do prepare for the test! Study the answers to the exam questions – there are 1500 of these, from which 100 will be chosen for the test. To pass the theory test, you will have to score 90% or above. The test is available in English, Russian, Japanese, Spanish and French. Useful resources on Baidu, translated from Chinese to English, are here and here. Mock Exams can be found on: http://www.jsyst.cn/english/ and https://www.chinesedrivingtest.com/ . Driving in China app from the App Store (1.99 USD). Once you pass the test, you can get the license from the SVMB right away. If you fail the theory test, you’ll need to arrange to sit the test again. Also, important to note – an international driving license is not valid in China. Same applies for Hong Kong, Taiwan and Macau licenses. Only official Chinese licenses can be used all over the mainland. Never had a driver’s license back home, but feel like now would be a great time to get one done? Living in China is not an obstacle in this case. It will be a lengthier (and pricier!) process, but it is certainly possible. Basic prerequisites for this would be: over 18 years of age and have a temporary or permanent residency permit in China. Written exam on laws and traffic regulations and basic concepts on vehicles (45 minutes for 100 questions, pass mark 90). Parking and basic driving skills test on an obstacle course within school grounds. Driving test on the road. Written exam on correct driving habits and good manners (30 minutes for 50 questions). You will need to sign up for a driving school, which will help you with all the procedures. Prices will vary, and so will teachers and their language of instruction. Not all schools accept foreign passport-holders, so do your research to find a school that caters best to your needs and expectations. Expect to pay a few thousand RMB for the courses, starting from about 5000 RMB and up. The whole process would take approx. two three months. These are basic steps for getting your driver’s license in China. It will take some time, paperwork and studying, but don’t let this discourage you from going through the process. Many foreigners have successfully passed the tests and gotten their licenses and claim the process to be simpler as it initially seemed! Follow us on social media to receive more amazing tips and news on life in China – like this post on where should expats pay their taxes! Also, take a look at the services we offer and get in touch with our team for consultation! 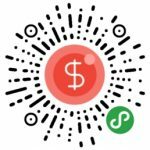 See how much salary you receive after tax and check your company value without leaving WeChat! Also, our Mini Program can estimate the salary in your industry, for your experience level and position. A huge help for salary negotiations! Scan the QR code now to use our free calculators!